Deets app. The simplest way to send your contact details to someone. Say goodbye to business cards. Now that's good business. 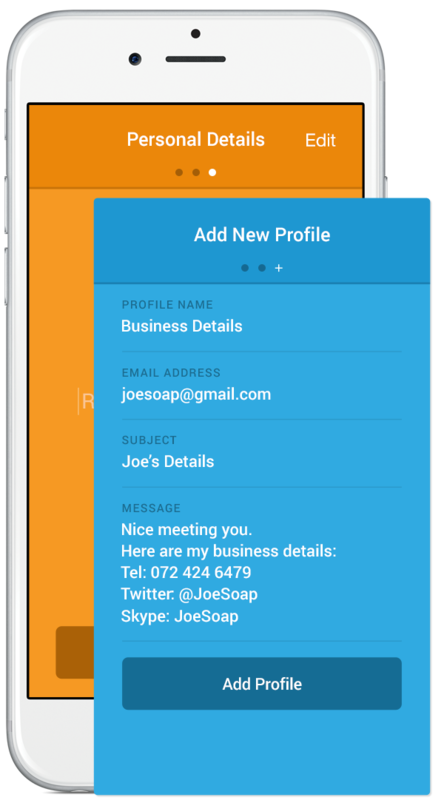 Create different profiles to group your various contact details together. So one profile for your business details and one for personal details. Met someone you want to send your details to? Simply enter their email address to send your details via email. It's that simple. 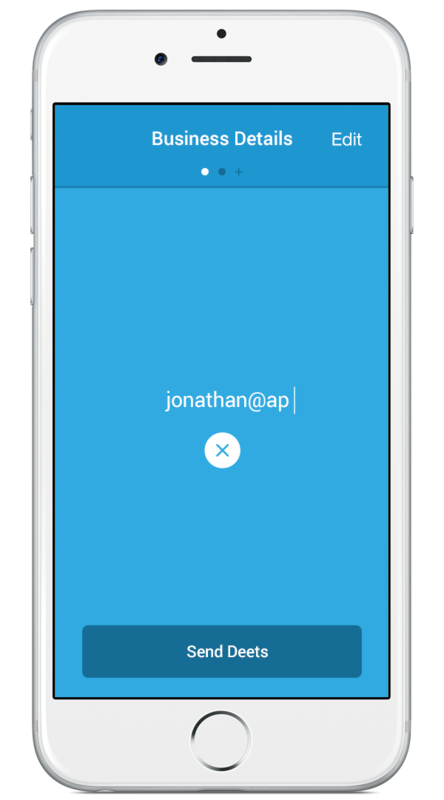 Hit 'Send Deets' and your details will be sent via email to the recipient's email address. Business cards... what business cards? 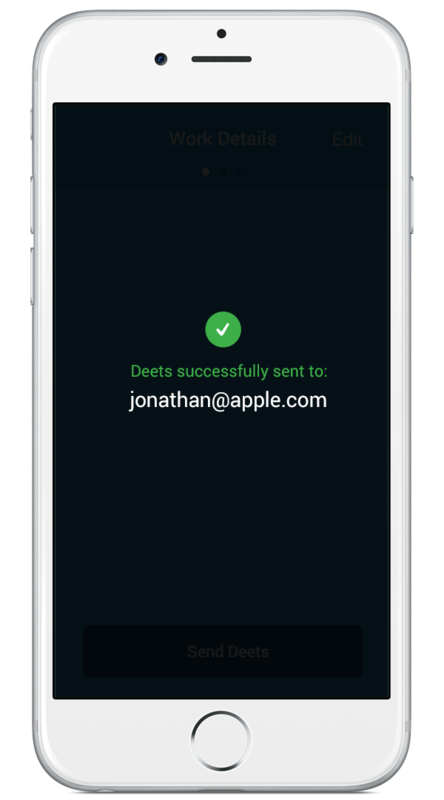 Get the free Deets app now, and start 'handing' out your details the simple and smart way. Support or suggestions? Email us at hello@deet-sapp.com. App idea by Don Packett. Deets app and website executed by Firing Squad.